Microsoft says it has already sold one million Kinect sensors to Xbox 360 owners since the add-on for the console launched in the U.S. earlier this month. Xbox man Don Mattrick calls the 10 days worth of sales "a great start to the holiday season." The Xbox 360 maker hopes to sell 5 million of the things by the end of the year, with launches in Asia, Japan and Australia to come later this month. 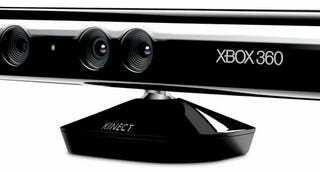 Microsoft says that early Kinect sales will solidify the "biggest year in Xbox history." Sony said last month that its motion-controller add-on for the PlayStation 3 had shipped a million units since its launch on September 15. Nintendo also bragged last month that it had sold more than 63 million Wii Remotes over the course of the past four years. Everybody just thinks they're sooooo great.